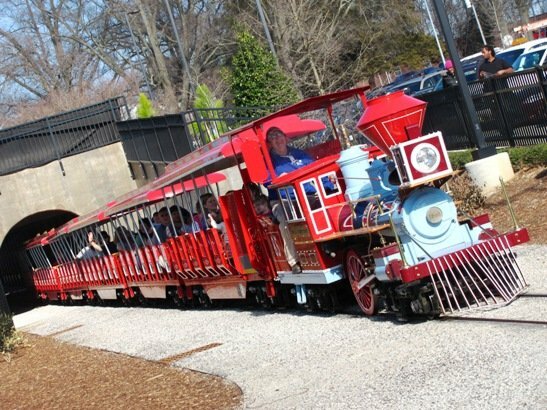 Feel like a Kid Again (or Bring your Kids) at Pullen Park in Raleigh! From the outside you’ll immediately notice the train tracks running across the entrance, step over after checking both ways and head on inside. 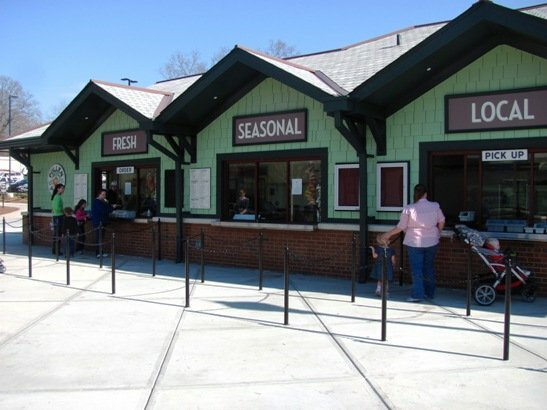 Right past the arched Pullen Park entrance you’ll find a ticket booth. $1/ticket and you’ll need them for the train, carousel, kiddie boats and to rent out a paddle boat. You’ll also find the Pullen Place Cafe offering a wide range of sandwiches and snacks for you and your kids! A large playground to your right is crawling with kids, literally. 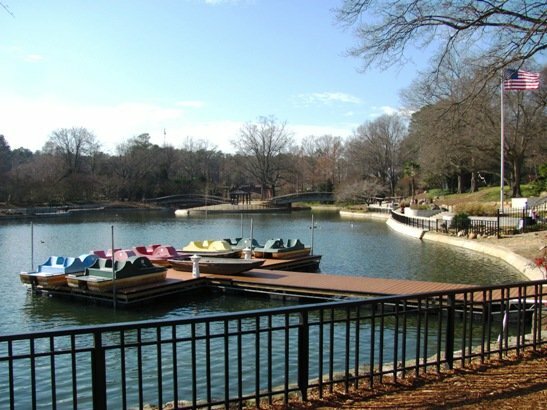 It’s really an impressive expanse of greenway, lake, and amusements that make Pullen Park such a great destination. 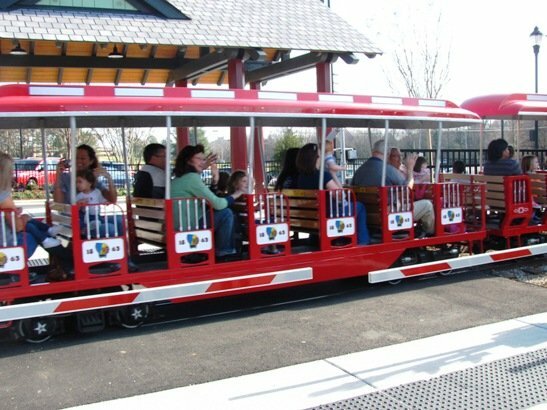 We curl around to the right where you’ve go the boarding area for the CP Huntington, the nicely restored train that chugs around the park. It’s hard to resist this bright red locomotive pulling a handful of cars behind it! For one ticket you do a quick spin around all of Pullen Park seeing some different areas that you might not be able to get to on foot. And it’s just fun to hear the clickety-clack of the rails whether your 6 or 60. Next up is the carousel, a green octagonal building that appears to be a bit drab from the outside. But you can tell that something special lies within. Inside you’ll find the amazingly restored carousel full of color and life. Pale blue arms stretch out overhead dropping down to polished brass poles each supporting a beautiful steed for your spin around. 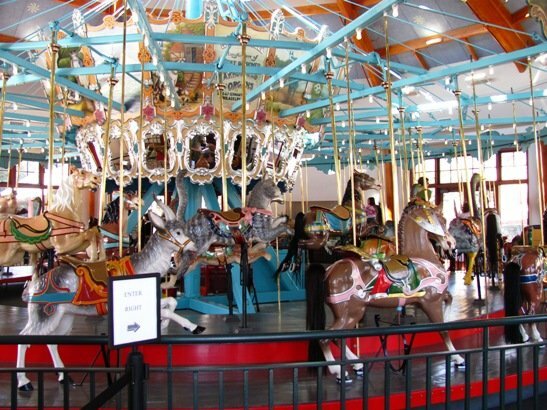 You can tell the horses and other carousel steeds have been lovingly restored and sport shiny new finishes. The music kicks in and next thing you know you’re spinning around at a pretty good clip to calliope music. 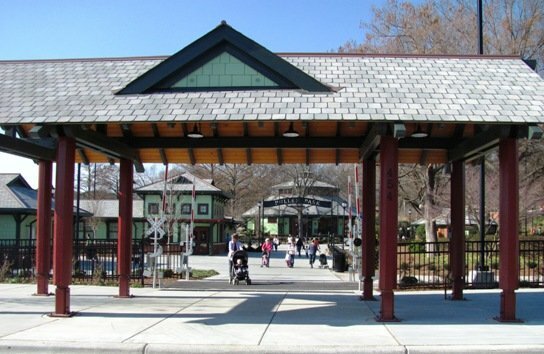 Really a throw-back ride to simpler times and a great amusement at Pullen Park! And finally the lake and paddle boats. This serene setting lies right in the middle of the park with several bridges running across the water. 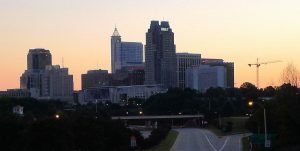 There are also several spots to sit and enjoy the view, it’s an idyllic setting right in downtown Raleigh. The paddle boats cost 6 tickets for 30 minutes but I have yet to try them out. 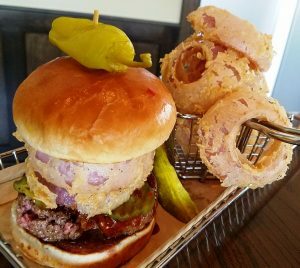 And after all this fun and exercise, grab a quick bite to eat at Pullen Park’s cafe where you can get local and seasonal casual fare. 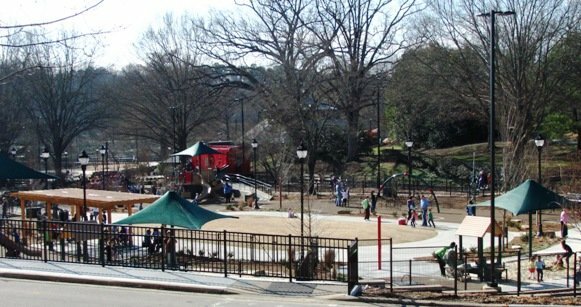 All in all, Pullen Park is a great way to spend the afternoon with or without kids. However given how great it is, the crowds will pack in Pullen Park on a regular basis so if you’re looking for a relaxing experience, try to visit during off-hours. But it’s hard not to be amazed at Pullen Park, it’s truly a wonderful example of what a city park should be and I am so glad to have it in Raleigh!